Neither the sire nor the dam of Cass Olé, one of the black stallions used in the movie The Black Stallion, were black. 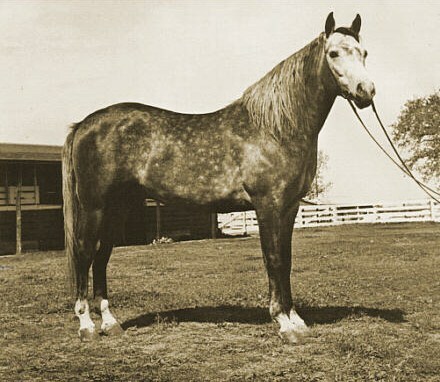 His sire, pictured here, was gray, and was heterozygous for the gray allele. He had a 50% of passing it on each time he sired offspring. His son, Cass Olé, did not inherit it.